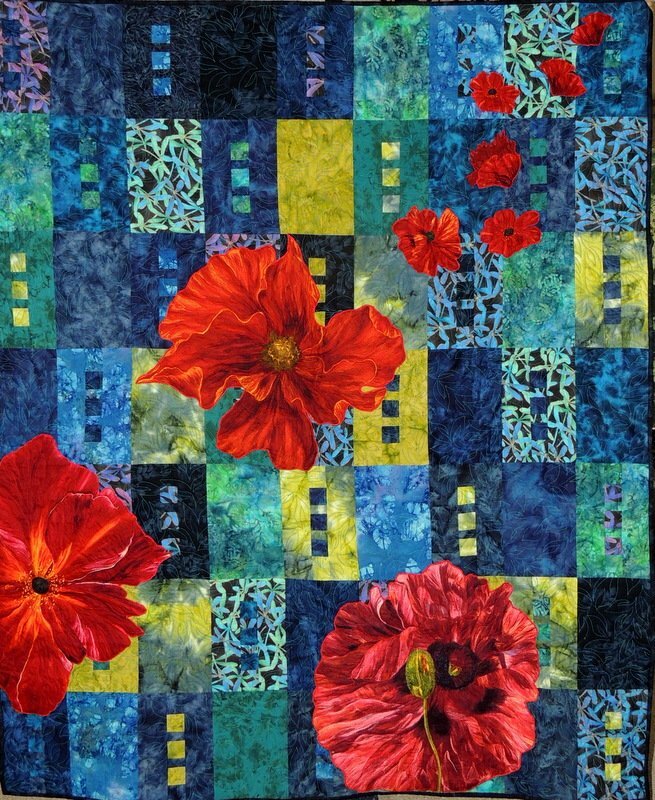 Red poppies dance across a canvas of Blues. Each flower is thread painted and appliqued to the pieced quilt. Has sleeve attached for hanging as a wall quilt.